"Guide to become a Successful publisher in the Digital World"
In the publishing industry, the rise of technology has extended beyond publishers simply digitizing content for those readers who prefer ebooks or online learning systems to print—forcing businesses to adapt their processes and products to accommodate new customer demand. In this new age, technology has allowed for many of these processes to be streamlined or automated, allowing for publishers to improve the efficiency of their business and take advantage of opportunities in the marketplace. For publishers of all types to continue to be successful in this new digital world, they must examine all of their systems and evolve to a more efficient way of handling their business. What is the use of Digital Supply Chain? What is the impact of Digital Supply Chain and ERP on content publishing? What is the future of Digital World with streamlining and acceleration? How to better manage print and digital production schedules? What are the benefits of automating rights and royalty management? What are the best ways to take advantage of print-on-demand and custom publishing? How to repackage digital content to create a new product? How embracing the digital supply chain helps to streamline, automate, and accelerate organizational supply chain? The automotive aftermarket is embracing technology like never before, be it out of forward thinking, necessity or both. Moreover, automotive aftermarket distributors must find new ways to keep up the pace in an ever-more connected world, where shifting supplies must meet changing demands. With the right solution, smart automotive aftermarket companies are seizing the opportunities emerging in these challenging times. This whitepaper highlights five key trends shaping the way automotive aftermarket distributors will operate over the following years. Key takeaways from this whitepaper: Make It Last-Reducing the “wear-and tear” factor that creates demand in the automotive aftermarket Don’t DIY- Complex automotive systems causing a shrinking pool of automotive do-it-yourselfers Around the World-New alliances and a need for tighter controls due to Lengthened supply lines The New Face Of Supply-Changing the way automotive aftermarket distribution is done IT in the Fast Lane-Advanced IT solutions supporting more efficient supply chain processes Expand your margins, optimize your processes, streamline logistics, improve service and enhance profitability as you integrate your supply chain end-to-end in the automotive industry. The emergence of digital technology has equally impacted the publishing industry. The threshold to paper-based books is on a significant decline due to the digital revolution. This has led to the advancement of a new phase, in the management of core processes that serve as the backbone for any publishing house. But, the lack of integration on current systems is a major reason for the disruption of supply chain in publishing sector. Implementation of ERP solutions has always been a booster to management barriers, and introducing the same to a publishing firm will definitely leverage the market for decision makers. Find out more about the Impact of Digital Technology through the Whitepaper below and address all your queries: Has the increased use of digital platform impacted business decisions? Will switching to ERP solutions enhance your publication firm’s business growth? 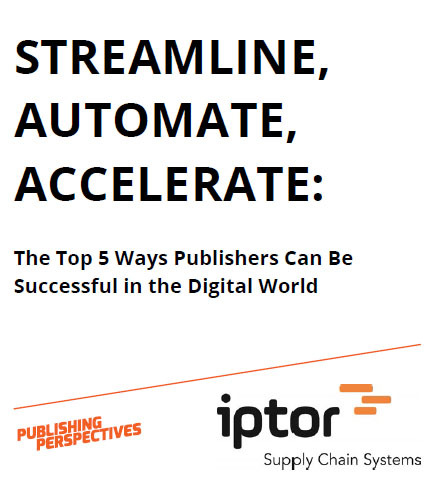 What are the benefits and barriers while using publishing supply chain technology? What is Digital World ? Digital world is a stylistic expression to highlight the importance and hegemony of digital systems and technology in the contemporary society. People are always surrounded by images and links related to staying connected and being in the “know” through cell phones, and other devices. Young people of this generation (millennial generation) are known as the digital natives due to their heavy reliance and use of the Internet and digital technology. What is Digital Platform ? A digital platform consists of many services, representing a unique collection of software or hardware services of a company used to deliver its digital strategy. Organizations look for the services that provide businesses with the best performance to cost ratio, but some services are almost always required for all applications or solutions. Digital platforms have gained importance in business due to this ‘performance to cost ratio’ advantage.